Home » Supplement Reviews » Cellucor Super HD Review – Does This Fat Burner Really Work? Cellucor Super HD Review – Does This Fat Burner Really Work? Effectiveness: ★★★☆☆ – Will boost energy levels but doesn’t deliver the main fat burning effects. Price : ★★★★☆ – It’s reasonably priced. Ingredients: ★★☆☆☆ – Missing many of the important fat burning ingredients and contains proprietary blends. Contains 2 proprietary blends so you don’t know how much of each ingredient you will get in those blends. Cannot take a large dose of it because of the high caffeine or drink other caffeinated drinks while using it. Cellucor Super HD is a fat burner available in capsules, you can also get it in powdered form and they contain almost the exact same ingredients. This product is a stimulant based fat burning, meaning it contains ingredients that will help stimulate your central nervous system, speeding along the fat burning process. Just by taking a quick glimpse at the ingredients it contains it is similarly dosed as an energy drink you can buy at any grocery store with added fat loss ingredients. In this Cellucor Super HD review we will go in depth how this supplement works and if the ingredients are good enough to promote fat loss and all the other benefits this supplement promises. Cellucor Super HD lacks many of the best fat burning ingredients. Other fat burners on the market are superior in quality to it. If you are looking for a high quality fat burner I would seriously encourage you to take a look at some of the other fat burners on the market and see for yourself. What’s better than Cellucor Super HD? See the Top 3 Fat Burners here. Cellucor Super HD Review – Does this fat burner work? Cellucor Super HD is labeled as a fat burner. When looking at the ingredients I can clearly see that it lacks many of my favorite fat burning ingredients. They list some of the very important fat burning ingredients in the exact dosages, which is a very good sign. It contains a ton of ingredients in 2 proprietary blends. My problem with that is even though there may be a few decent ingredients in these proprietary blends there is a high chance that they are under dosed. This means you won’t fully experience the benefits of those ingredients. Cellucor Super HD also contains some of the very important fat loss ingredients and some of my favorite too. Is this formula potent enough to deliver the promises it tells consumers? Will it deliver the weight loss you expect? this is the big question guys. This is exactly the reason why I started writing these reviews, to help people buy the supplement that suits them the best. I used to waste a lot of money on ineffective supplements a few years back because I believed every word the supplement companies told me. We will find out in this Cellucor Super HD review if this supplement is as powerful as they describe. Cellucor Super HD – Who Is It For? In this Cellucor Super HD Review I’m going to discuss who this product is really for. 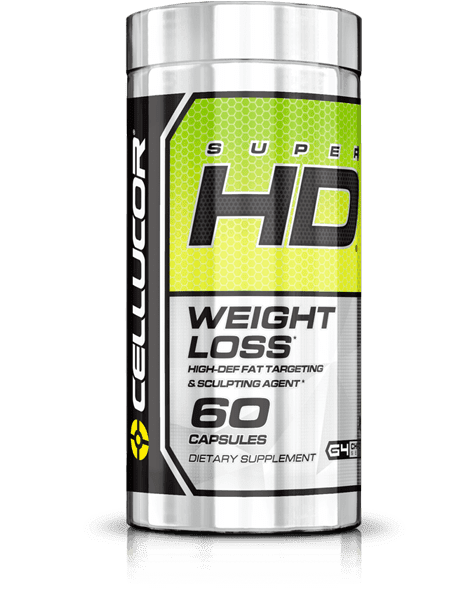 I’d say Cellucor Super HD is for someone who is looking to get more energy during workouts, want’s a reasonably priced product that has some solid ingredients that enhance fat loss. If you are someone who wants the best fat burner on the market Cellucor Super HD would not be my choice. By paying a little more you can get a product that is superior to Cellucor Super HD. You can get a more expensive fat burner that works better. It really is a question on how much you are willing to pay for a quality product. If you are someone who is willing to spend more money on a quality product you should definitely take a look at the top 3 fat burners on the market list here. Cellucor Super HD Ingredients – How Does it Work? Super HD by Cellucor attempts to work on a variety of different levels. It isn’t just your standard caffeine supplement, but also, contains a few of ingredients that will help to increase overall levels of fat burning in the body. One very nice thing you’ll find when looking at the ingredients in Super HD by Cellucor is the fact that most of the ingredients are listed in their respective doses. This means you know exactly what you are getting with each serving you take. It contains 2 proprietary blends where you won’t know how much of ingredient you are getting. Super HD contains green tea leaf extract, which will help to increase thermogenesis taking place in the body, while also offering antioxidant support. In addition to that, you’ll also take 160 mg of caffeine, which is a moderate dose – enough to provide great fat burning effects, but not so much it’ll likely cause you to lay awake at night unable to sleep. Toothed Club Moss aerial parts. Contains 2 proprietary blends so you won’t know how much of those ingredients you are getting. Missing some key fat burning ingredients like: Glucomannan, green coffee bean extract and vitamin d3. The B vitamins are excellent for increasing overall energy levels in the body so you don’t feel the standard levels of fatigue that accompany so many diet plans and cayenne fruit extract is also going to help stimulate increased calorie burn after consuming this supplement. The Amia fruit extract found in this product combined with the caffeine will help give you a mental edge, making it easier to push through those hard workouts you have scheduled. When you feel like giving up, you’ll find that while on this supplement, you’re more able to push through. Finally, toothed clubmoss can help to boost memory and mental focus as well, so this will not only help you out during your workout session, but can also help you out during the rest of the day as well. It’s not abnormal to find it’s hard to concentrate and stay focused while dieting thanks to the reduced carb intake you’re using, however this product can help you overcome that. Let’s go into depth with the pros and cons list of Cellucor Super HD. It was very clear that the benefits of Cellucor Super HD were really good but there were also some downsides to this fat burner. If you take this product over an extended time period, you may find that you develop a tolerance to it, rendering it less effective. I dug out some Cellucor Super HD reviews from users who have bought and tried out this fat burner. Did this fat burner help with weight loss for them? I have used this product multiple times and love it. The only problem is when you stop using it for a few weeks, your metabolism and energy go way down. I become so tired it’s almost impossible to get up in the mornings. I just feel so exhausted even after sleeping almost the whole day. While taking this product, sometimes it’s hard to sleep I have so much energy. When off this product I can barely wake up I’m so exhausted. I’m not sure if that’s very healthy! Probably won’t use this one again. This reviewer got some decent results using this product but was not impressed by it. I purchased the 60 capsule bottle because it seemed like this product had nothing but positive reviews. I did what everyone else recommended and stacked with CLK. I did notice that the two together really helped curb my appetite, as in I didn’t ever want to eat. However, I wasn’t as impressed or blown away by the results like I thought I would be. I lost maybe about 3 lbs over the course of taking this, which by the way- it runs out really fast. This was in combination with a healthy diet and regular cardio/lifting regime. Overall, mediocre. I will never take this product again! This stuff made my heart beat so fast. I felt awful and I could not wait for the effects to wear off. I took one dose around 7am and could not sleep because this product kept me up. I was terrified because I did not know when the effects would go away. I was nervous and felt extremely anxious. NEVER AGAIN!! The Verdict – Does Cellucor Super HD Really Work? But all in all, this product does have a solid line-up of ingredients for those who are hoping to lose fat and get more energy. Caffeine is a very well proven supplement to assist with the fat burning process, so it will provide good results. Will it provide a lot more results beyond just taking straight caffeine tabs? That is somewhat questionable. While the other ingredients can certainly help, if you simply took a few cups of green tea each day and ensured that you had plenty of B vitamins, you’d probably see somewhat similar benefits. It’s missing many of the key fat burning ingredients available which makes me wonder if this supplement is really worth it. If you are serious about fat loss though and especially want to see more mental energy, you should find Super HD by Cellcuor gives you the added boost you need. However, I believe that there are some other fat burners on the market superior to Cellucor Super HD. I am not saying it’s a bad product, it is a decent product but I’ve seen better ones. Unfortunately does Super HD not make it to our Top 3 List of the best fat burners. Does Super HD By Cellucor Come With Side Effects? When making this Cellucor Super HD review I saw that it was a possibility of side effects using this fat burner. When it comes to side effects, while this product will be very well tolerated by many, it’s not without the risk of potential issues. Those who are sensitive to caffeine may notice they experience anxiety, increased heart rates, and a feeling of being jittery. Likewise, if you do take it too late at night, it could cause issues with sleep. The level of caffeine in this supplement isn’t too high that it should be a problem if you take it early in on the day, but if you plan to take it in the evening, this may not be the case. Keep in mind that some people will take two capsules per day to see maximum benefits, in which case, you will be taking in quite a high dose of caffeine overall. What fat burners are better than Cellucor Super HD? Cellucor Super HD is definitely a good fat burner. 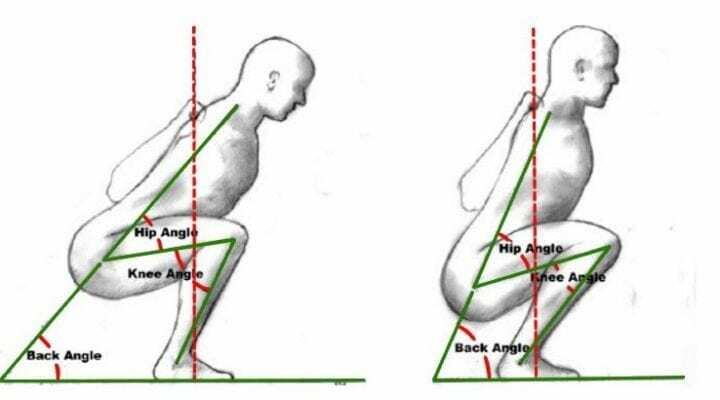 However there are some better alternatives available. If you are interested to find out which fat burners are superior to cellucor super hd check out our article on the top 3 fat burners here. Where To Buy Super HD By Cellucor? You can purchase Super HD by Cellucor at any major supplement store or online at various websites such as Amazon.com, GNC and Bodybuilding.com. This product retails for around $56 per 60 capsule serving or $75 for a 120 capsule serving. Cellucor Super HD directions – How to take it? For best results, you should take one to three capsules (in separate dosages), 2-3 hours after taking any other medication. You may find that you get more of a ‘kick’ with this product if you choose to take it on an empty stomach as well, so plan your meal times accordingly. Start with the lowest dose recommended (1 capsule) and increase your dose from there as needed, trying to take the last dose at least six hours prior to bed time. Can you stack a pre workout with Cellucor Super HD? It’s not recommended to consume pre workout supplements when using Super HD. Pre workout supplements contain powerful stimulating blends and mixing these two together can make you feel uncomfortable. Does it come with a money back guarantee? Cellucor offers a 30 day money back guarantee if you purchase directly from their website. Is Cellucor Super HD Safe? If you are not sensitive to caffeine it is relatively safe to consume. Super HD can cause a raising heart rate, anxiety and trouble sleeping for some individual.